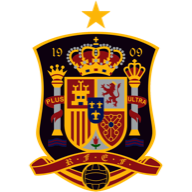 David Silva salvaged a 1-1 draw for Spain in their friendly date with Mexico, as he levelled late on. The reigning world champions were far from their free-flowing best, but could be forgiven for showing signs of tiredness following a long, hard summer. 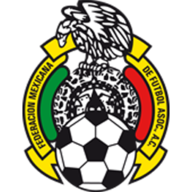 A long trip to the Azteca Stadium on Wednesday is probably the last thing Vicente del Bosque's weary troops could have done with, especially as the new domestic season is now upon us. They were, however, able to leave with their heads held high as they avoided what would have been a shock defeat. Manchester United starlet Javier Hernandez, fresh from scoring in Sunday's Community Shield, looked lively early on and it was he who broke the deadlock. The youngster displayed remarkable composure as he broke into space, stood up to Iker Casillas and calmly rolled the ball inside his near post. That 12th-minute effort look set to settle the tie until deep into stoppage-time when Silva rescued the visitors. The Manchester City winger latched onto a pinpoint pass from Barcelona midfielder Xavi and slotted coolly past Mexican keeper Jesus Corona.